Oneof the lead tracks from Para X's debut album "Rising Star" now gets the full on single treatment and it is an absolute peach. 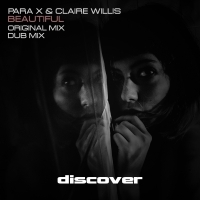 This vocal collaboration with the incredibly talented Claire Willis is a true heavyweight. Called "Beautiful" and the track is exactly that. The vocal hooks are sublime and sit perfectly with Para X's strong instrumental melodies. Immediate support from Aly and Fila, Beautiful was also one of the tunes of the night at Para X's recent triumphant UK debut. Partnered by a cool instrumental, Beautiful is the epitome of feel good uplifing trance.